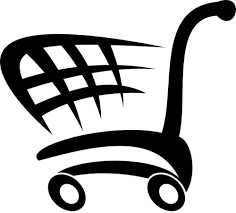 In no special order, here is a little listing of stores, shops and friends we met along the way with whom you will be able to find and buy some of the products reviewed in our posts. This has been my hair place for about 7 years now. Great service by an awesome and passionate bunch of people. This is a 5 stars place in my books. 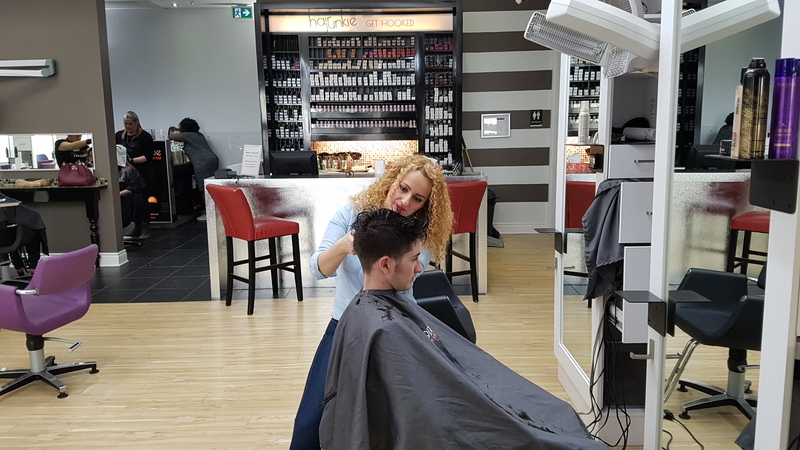 From the warm greeting with a coffee, to the stress relieving scalp massage and the impeccable hair cut. 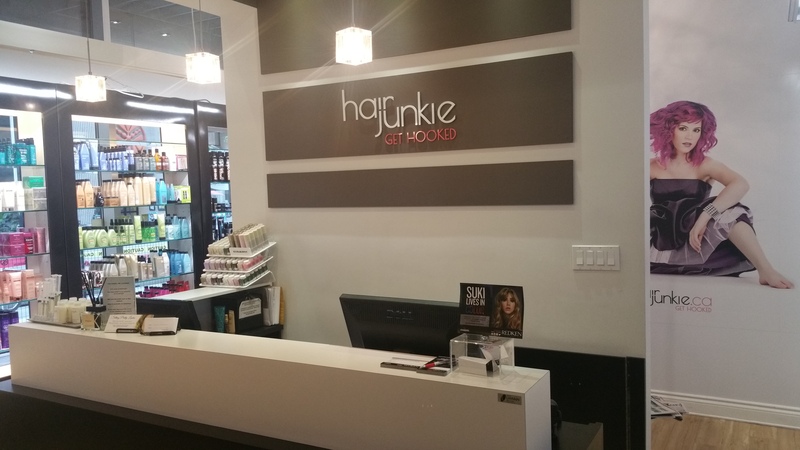 They offer the full Layrite product line as well as Redken and a many others. The Fabulous Juliana at work! 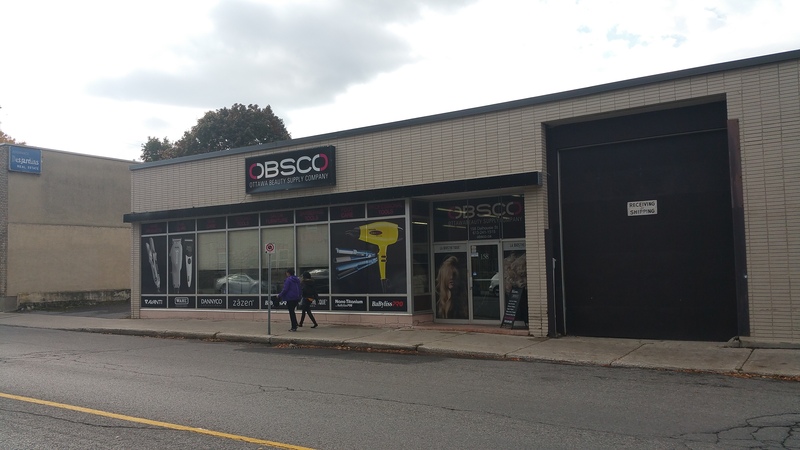 This is a hairdresser/barber shop supply store located on Dalhousie Street in the Ottawa Byward market. I discovered this place by driving by it and decided to just go in and see what they were about. The people there were fantastic and I was treated to the owner’s tour. They have a great selection, from pomades to barber chairs and everything in between. FYI – they carry the full line of the Pinaud-Clubman products. If you mention STYLE4MEN you should also get a discount. Lynn and Sarah are my contacts there. Friendly and knowledgeable. They will help you find the right product. Check out the post on my first visit at OBSCO. Billy Jealousy is a complete brand of men’s grooming products that I have been gradually discovering. It started with the pomade, of course, and from there onto their shaving solutions. There are numerous facial creams and washes, shampoos, conditioners, etc… They even have a tattoo care series. You can shop directly on their site. Note that this site is in Canada, so no crazy duty surprises on top of your purchase. My friends at Billy mentioned that they would offer a discount code to the Style4men visitors. Plug in “STYLE4MEN” when you make a purchase, something nice might happen. “About the best” is the distributing company for the Billy Jealousy brand as well as a number of other similar names. See below. Razorpit is one of their product I tried numerous months ago that was seriously impressive and original. You might be able to use the “STYLE4MEN” discount code when shopping here too. Le Centre du Rasoir is an interesting shop I came across in my local Mall (Promenades). I suspect that this chain has had a bit of change in direction over time and is now coming back to its roots with the revival of proper wet shaving. 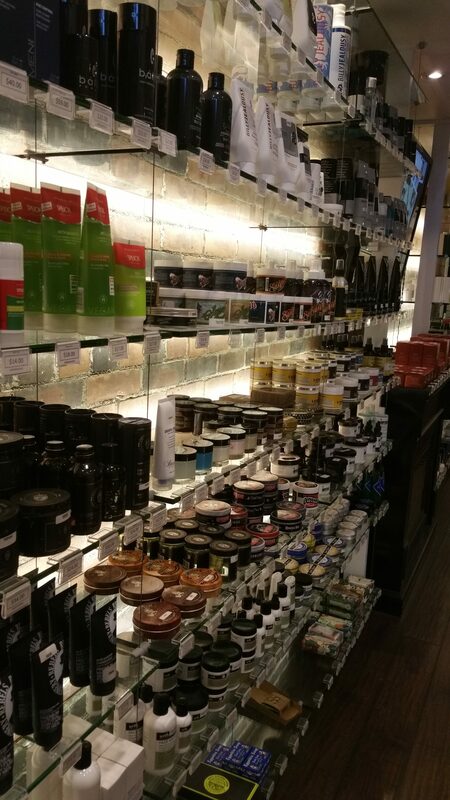 The store mostly holds coffee machines and other small household appliances and now a growing section of wet shaving gear. 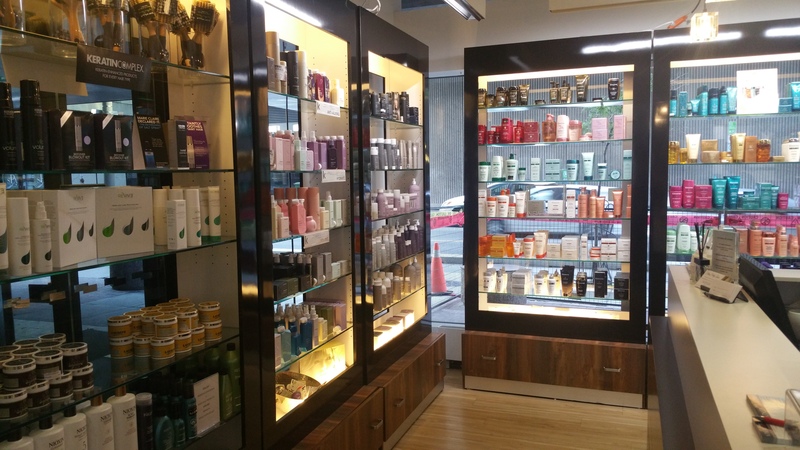 They carry the full line of Proraso products, LEA, Merkur razors, Rockwell and a few others. As far as I know, this is the only store that carries the Rockwell brand. Overall, their prices are very competitive and their frequent sales make it even more appealing. On that, it is well worth subscribing to their news letter to be notified of these sales. If this wasn’t enough, their staff is most helpful. I have been dropping by regularly for various items. The Modern Man is a UK shop I initially came across via eBay. Yep, you read right, the UK! Wait for it. Aside from the very competitive pricing, they also offer inexpensive or free shipping to Canada. There it is! The first time I ordered from them I was bedazzled by the speed of delivery. If memory serves me right it was some 4-5 business days. As anyone who might have ordered something from the US, you know you are generally in for a minimum of 2 weeks of waiting, if not more unless you remortgage the house for the premium delivery. The Royal Mail and Canada Post have an incredibly tight working relationship and being on the receiving end of that service is awesome. Further to this incredible shipping speed, The Modern Man also has an “EXCEPTIONAL” catalogue of men’s products. In fact, it might even be one of the better one I have had the luxury to come across. Having become aware of some of the British brands through the “BarberNV” magazine, I have also have been wanting to test these products out. Fudge, Dapper Dan, Morgan’s, Apothecary 87 to name but a few. All of which are available through the Modern Man. If you are looking for that original old-school pomade like Morgan’s or maybe a European shaving cream like LEA, you can find in their shop and more importantly, you can get it in a timely manner. To date I have ordered from them 3-4 times with a consistently spotless experience every time. This is a Toronto on-line store. They carry a very wide range of hair pomades and shaving products. I have had consistently positive shopping experiences with them. Shipping is fast and priced as fair as possible. I was also at their store in mid-August 2016. 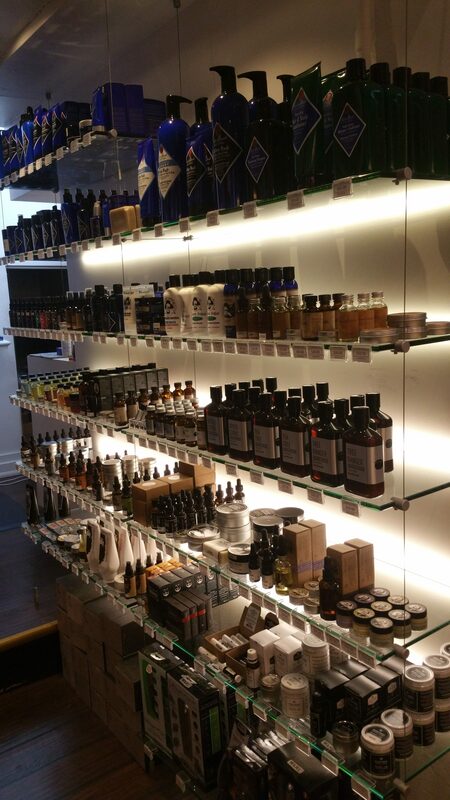 The shop and selection are awesome as you can see in the pictures. If you happen to be in Toronto on Danforth, it is worth a stop. Plus it is conveniently located in Greek Town, so you can also eat a fabulous meal while you are there. Not Your Father’s Barber is an awesome Barber shop in the Ottawa Byward Market. Well worth the detour. On top of offering a great shave, they carry most if not all of the Suavecito product line. Aaron, the owner, is the guy I call when I want to get the latest Suavecito pomade. Either he has it in stock or he will get it within the week. In my recent quest to buy a jar of the Suavecito 2017 summer pomade edition, I was introduced to the “Ultimate Barber Supply” which is the Canadian distributor of the Suavecito product line. As it turns out, they also carry a good number of other barber shop related products. Yes, the name of the place was the give-away! The selection is solid. The shipping is reasonably priced and quick. I got my order in about 4 business days. Customer Service which is an art that is getting lost in many businesses, is alive and well here. Steve, we salute you! 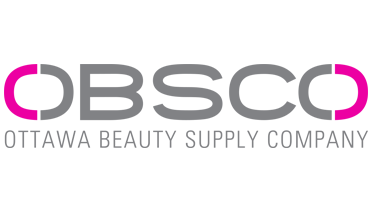 As an added bonus, you can get 10% off your entire order when shopping with Ultimate Barber Supply by using the Style4men discount code. Type STYLE in the discount code field when checking out. The Pomade Club is an on-line retailer that I came across via eBay. I have bought from them about 3 times to date. They have an fantastic pomade collection at reasonable prices. Shipping to Canada is quick and decently priced. 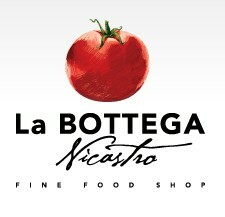 This is a lovely Italian grocery store in the Byward market. You will be able to find most if not all of the PRORASO product line as well as the SULFILO DEL RASOIO shaving gel. Le Local is cool and hip clothing store in Gatineau (Hull) on Eddy Street. You will find men and women clothes as well as all sorts of accessories. On the grooming front, they sell two Canadian brand: Henri et Victoria and GROOM. This is my go to shop to pick up Henri et Victoria products. Amazon is always an easy stop for your shopping needs. Being a regular amazon shopper, I have obviously also bought many of my hair and shaving supplies through them with consistent satisfaction. eBay is an interesting door to countless stores across the world and a great solutions to find some pomades and shaving gear. Generally speaking, my experience buying pomades from eBay has been positive and trouble-free. This is a store within the Gatineau, “Promenades de l’Outaouais” shopping mall. It looks very much like a hair dresser supply store. One day I just decided to go in and see if they had any pomades. They did! The selection was quite large. They had: Reuzel, American Crew and Up Front that I remember. I have gone back for the Reuzel products. To date, this is the only place in the National Capital Region that I know where Reuzel pomades can be bought. Their pricing is competitive. 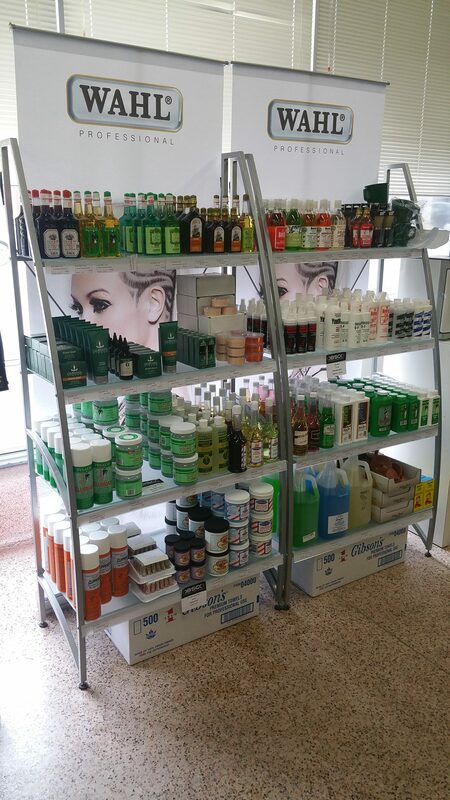 Sally Beauty is an American chain store that offers a very large selection of hair care and beauty products at great prices. Be aware that the on-line prices are in US dollars, but rest assured that the conversion is not doubled like in many other businesses. They have a shop on St-Laurent Blvd. in Ottawa. 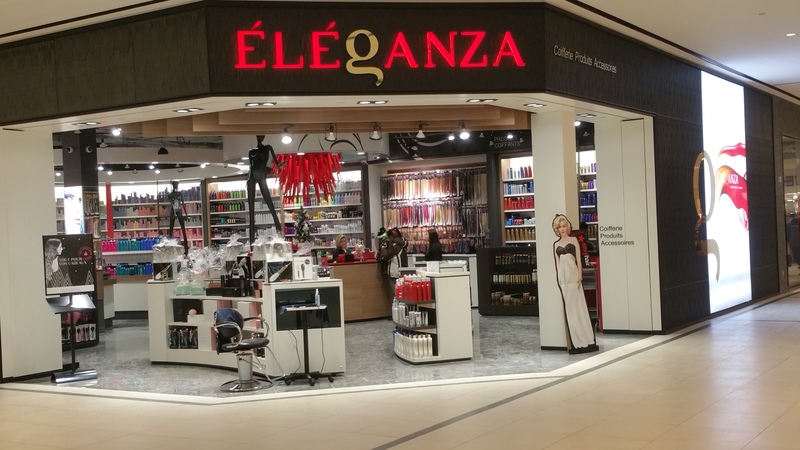 At first I figured this was going to be a “make-up” store for the ladies, but was surprised to see that almost 75% of the store was dedicated to hair-care! On both of my visits to date, the service has been excellent. Aside from the great service and selection they have a rather unique return policy: Love it or return it! This is rare in this business and a welcomed approach! I had the pleasure of putting that to the test. No questions, no negotiations, no troubles! In the men’s products they had: Pinaud-Clubman, Woody’s and Barberys to name but a few. This is an on-line store out west. 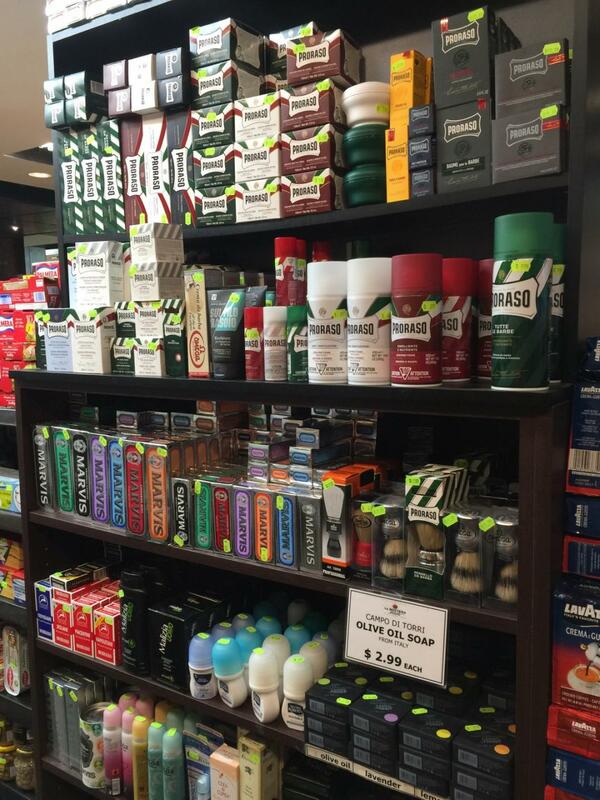 The product selection is solid: razors, blades, shaving soaps and pomades of course. The other big thing that caught my eye was the flat shipping fees: $5 in Alberta and $7.50 in the rest of Canada. Considering the new reality of shipping fees this was like an ice cold beer on July 1st. Rockwell Razors is a Canadian Toronto based company that produces very ingenious adjustable safety razors. They also have a supporting product line of shaving cream, soap and after shave. The fragrance of their shaving cream and after shave balm is phenomenal. You will feel like being in a Barbershop in 1947. Click on the brand logo to shop with them. Visit this guys if you have any cravings for that vintage feeling, the site is like a walk in the 1800’T. They have a full men’s grooming product line (shaving gear, pomades) including the heaviest safety razor I ever worked with. Click on the brand logo to shop with them.